Torres del Paine seems to be on everyone’s “bucket list” these days. The mystical, magical site of the three towers, and its surrounding national park, has become synonymous with carefree adventure - and for good reason! Beyond the most famous towers, the entire national park in southern Chile deserves the reputation of a place to escape back to nature, totally disconnect and truly enjoy the overwhelming beauty of nature. 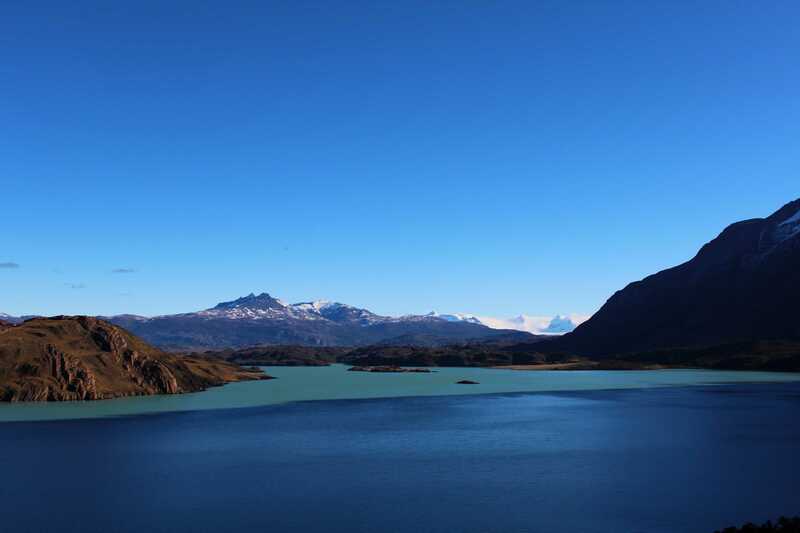 In December I traveled to Torres del Paine expecting to see beautiful sites, to be wowed by the views waiting for me. What I was unprepared for was the incredible peace that surrounds you, the happiness and fortitude of everyone you encounter in the park and the amazing, life altering experiences waiting for you as you step foot into this rugged landscape. Simply arriving at Torres del Paine National Park takes careful planning, several months in advance, with careful attention to detail. As remote as you’re imagining, and probably then some, getting to Torres del Paine requires planes, trains and automobiles. We flew 3.5 hours from our home in Santiago to Punta Arenas, rented a truck and then drove approximately 2.5 hours to Puerto Natales, our base for our excursions into Torres del Paine -- which was still another hour’s drive on not necessarily paved roads. Every single second spent traveling to our much hyped destination was unquestionably worth it. Your first sight of Torres del Paine will take your breath away. As we approached the park in late spring we encountered a deep blue lake, its shores dotted with lavender flowers. On the far shore sat the granite towers - as calming as they are daunting. Our weather luck was unprecedented as the sun sparkled gently on our stunned faces. Over the next several days, as we explored nooks and crannies, hiked until our bones were weary and our step counters lost track, emotions ran high. Overwhelmed with gratitude to see such sites, speechless as the landscapes rose and fell around us. At times we just stood and had to soak it in - for there is no place like the south of Chile. Every person we encountered along the trails had the same contented, exhausted, grateful smile upon their face. People from all over the world, coming together to enjoy the incredible gift of Torres del Paine National Park. The power and magnitude of exploring cannot be overstated - immersing yourself within the trees and mountains, the craggy peaks, the roaming guanaco, hoping for a sight of a puma, drinking from crystal clear waters - is powerfully beneficial for the soul. You leave Torres del Paine a different person - grounded, grateful and peaceful.